Product prices and availability are accurate as of 2019-04-25 03:39:00 BST and are subject to change. Any price and availability information displayed on http://www.amazon.co.uk/ at the time of purchase will apply to the purchase of this product. 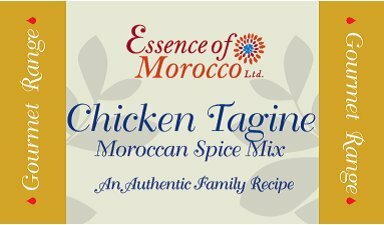 Chicken Tagine Moroccan Spice Mix is an authentic family recipe inherited over many generations. 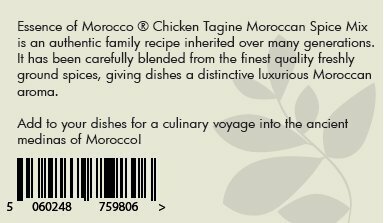 It has been carefully blended from the finest quality freshly ground spices, giving dishes a distinctive luxurious Moroccan aroma. 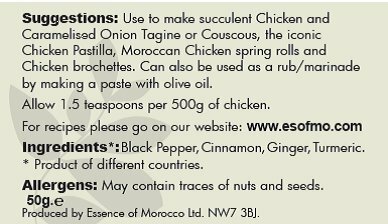 Use to make succulent Chicken Tagines or Couscous; the iconic Chicken Pastilla, Moroccan Chicken spring-rolls and Chicken brochettes. Can also be used as a rub or a marinade by making a paste with olive oil. 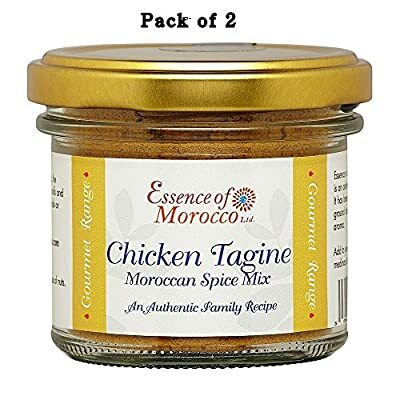 This offer is for 2 x 50 g jars of Chicken Spice Mix.